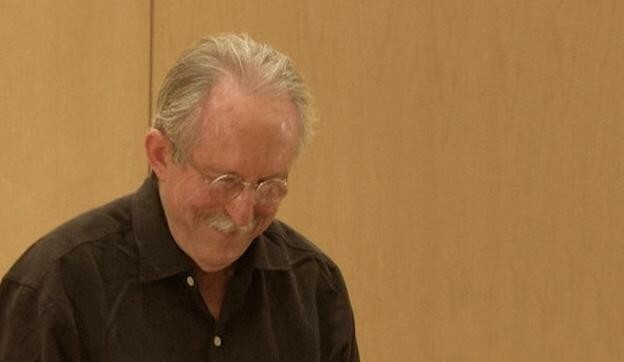 For our 50th episode, Charles Bernstein, Michael Hennessey, and Marjorie Perloff gathered at the Kelly Writers House to talk about Tom Raworth’s poem, “Errory.” The poem was published in Clean & Well Lit in 1996, and has been reprinted in the Carcanet Press Collected Poems (2003). 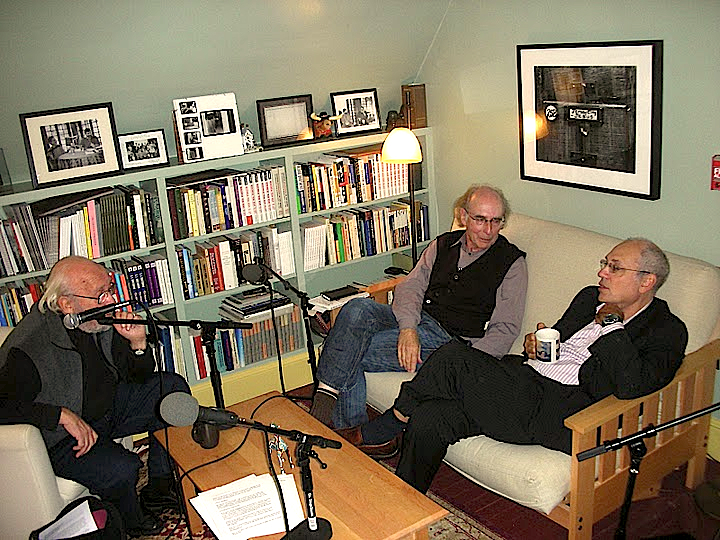 Our recording of “Errory” comes from audio material produced in 2004 by the Contemporary Poetics Research Center (CPRC) at Birkbeck College of the University of London, and we thank Colin Still for making these recordings available to PennSound. Here is the CPRC/PennSound recording of Raworth performing “Errory,” at somewhat more than his usual breakneck speed. Listen to “Out of a Sudden,” for instance — from the same recording session — and you'll notice a more deliberate pace. The 32-minute recording of “Writing,” read at typical Raworthian canter, is certainly worth hearing for similarities to the aural feel of “Errory”: urgent, converging, phrases “clawing back,” “free-falling into mind,” “vibrations of division,” “small notes to the rhythm of the train,” “things whiz past.” These are all, of course, phrases from our poem, which is, in a sense, in addition to everything else that it is, a poem about the urgency of its soundings. The pace of Raworth’s delivery is clearly a crucial aspect of the signifying, and, as if anyone needed further evidence, underscores the importance of close listening in the sound archive. Michael and Marjorie are especially interested in “Errory” as a war poem of some sort. Michael reminds us of Raworth’s childhood experiences of the Blitz. All the talkers comment on the use of a vocabulary and diction of martial industrial (not post-industrial) mechanism. Al sees, as well, a embedded sequence of landscapes, and Al and Charles note that, if the poem is slowed way down (Charles performs this briefly), we’ll hear little seemingly set-piece nature lyrics — lyrics that are, of course, challenged by the ubiquitous presence of “landing sites” and “transmitting unit[s].” The “scanty pastures” with which the poem ends are sites on which communication is destroyed “more easily” than otherwise. phrase: the question are you sure? PoemTalk was edited this time, as forty-nine times previously, by Steve McLaughlin. 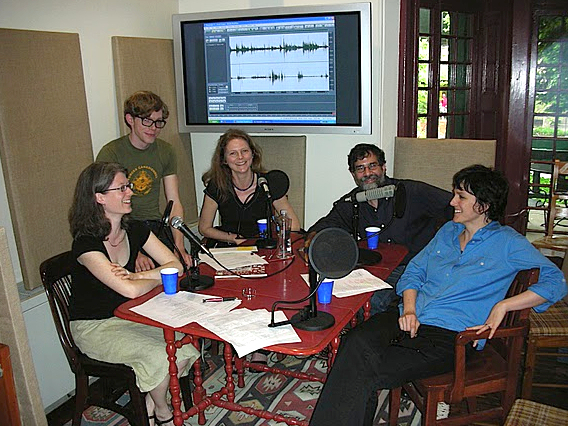 The show is produced at the Kelly Writers House in collaboration with the Center for Programs in Contemporary Writing at the University of Pennsylvania, PennSound, and the Poetry Foundation.